Why Choose Diesel Equipment Technician A.A.S. Degree at CLC? • Central Lakes College Diesel Equipment Technician program is AED certified. • Instructors have many years experience in the industry. • When you graduate you can get a rewarding career working on construction equipment, agriculture equipment and trucks in a dealership or a contractor or open your own shop. Enjoy a rewarding career as a Diesel Equipment Technician. Today’s construction equipment, agricultural equipment and heavy trucks are a lot more complex than the equipment was years ago. Diesel Equipment Technicians are needed that can repair and diagnose the complex equipment that shape our world. That someone could be you. Your career as a diesel and heavy equipment technician starts at Central Lakes College. This program concentrates on the hydraulic/hydrostatic, power train, electrical/electronics, and engine systems of off-road construction equipment such as crawlers, excavators, backhoes, front end loaders, motor graders, and skid steer loaders as well as on-highway vehicles. Two program options allow students to prepare for careers in maintenance, repair, and diagnostics of diesel equipment. The Diesel Equipment Technician Diploma is an eleven-month program consisting of a Fall and Spring semester plus an accelerated six-week summer session. 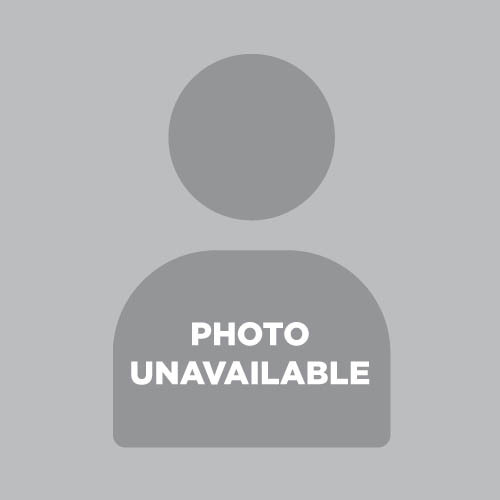 The Diesel Equipment Technician Associate of Applied Science (A.A.S.) Degree consists of all coursework from the Technician Diploma program plus an additional 20 elective credits. Students must select 15 general education credits selected from at least three of the ten goal areas of the Minnesota Transfer Curriculum. Career Description: The Diesel & Heavy Equipment Technology programs allow students to prepare for careers in maintenance, repair, and diagnostics of diesel equipment. This program concentrates on the hydraulic/hydrostatic, power train, electrical/electronics, and engine systems of off-road construction equipment such as crawlers, excavators, backhoes, front end loaders, motor graders, and skid steer loaders. Program Information: The Diesel and Heavy Equipment Technician Diploma is an eleven-month program that includes an accelerated six-week summer session. The Diesel and Heavy Equipment Technology Associate of Applied Science (A.A.S.) Degree consists of all coursework from the diploma program plus and an additional 15 credits of General Education courses from at least three of the 10 goal areas of the Minnesota Transfer Curriculum (MnTC). Demonstrate a high level of craftsmanship and professionalism. Students enrolled in these programs must supply their own basic tool sets. A guideline of what tools are needed is available from admissions. A pre-enrollment drug test is required of all students. Enrolled students will remain in a random drug testing consortium. Career Opportunities: Graduating students find employment at original equipment manufacturing dealerships, construction contractors, independent repair facilities, federal, state and local government agencies, and the related forestry, mining, and petroleum industries. 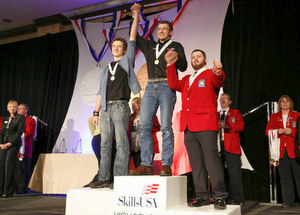 Two Central Lakes College students placed in the top spots at the 48th annual Minnesota Skills USA Championship, held this past weekend in Bloomington, Minn. 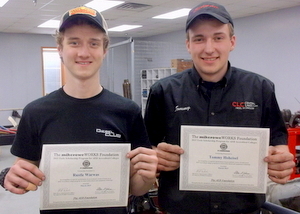 Seven students from the Diesel Technician Program represented CLC in both the college and high school divisions. 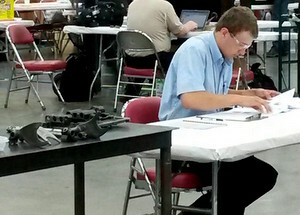 They competed in hands-on trade, technical and leadership contests. The competition focuses on technical skill demonstration. In the High School Diesel Division, CLC student Tommy Hoheisel, of Pierz, took first place and Rustle Warwas, of Eveleth, placed second. Both students are currently attending CLC in the PSEO program. Hoheisel will go on to represent CLC and Minnesota at the national competition, which takes place in Kentucky June 22-26. He will compete against other finalists in his division from across the nation. Two Central Lakes College students enrolled in the Diesel and Heavy Equipment Technician program were recently awarded a $1,000 tool scholarship from the mikeroweWORKS Foundation. 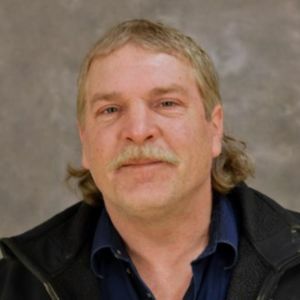 Tommy Hoheisel, of Pierz, and Rustle Warwas, of Eveleth, are both PSEO students currently enrolled in the CLC program. In order to receive the $1,000 tool scholarship from the mikeroweWORKS Foundation, the student must be in an AED accredited Diesel/Equipment Technology program and have the highest cumulative GPA. The candidate is chosen by the Diesel and Heavy Equipment Technician program instructor. The mikeroweWORKS Foundation is a foundation that Mike Rowe (host of the “Dirty Jobs” TV show) started to get people interested and to help them succeed in the Diesel/Equipment technology field. For the scholarship, two students are chosen from each college or high school that is AED accredited. It’s a great honor to be chosen, CLC program staff say. The scholarship money must be used to buy tools, which quite easy to do in the Diesel and Heavy Equipment Technician industry. Central Lakes College student Tommy Hoheisel, of Pierz, earned a bronze medal in the SkillsUSA Championships held in Kentucky June 22-26.The SkillsUSA Championships is the showcase for the best career and technical students in the nation. Contests begin locally and continue through the state and national levels.More than 6,000 outstanding career and technical education students –– all state contest winners –– competed in 100 different trade, technical and leadership fields during the championships. Hoheisel, who is attending CLC in the PSEO program, competed in the high school division. In the Diesel Equipment Technology category, Hoheisel cycled through 14 stations, testing and troubleshooting engines, electrical and electronics systems, power train systems including chassis, transmissions and carriers. He also had to demonstrate skills in hydraulic systems, vehicle inspections, fundamental failure analysis, brake systems, air-conditioning systems and general shop skills. Finally, he performed job interview skills and completed a written test. I learned a lot from Central Lakes College. CLC has a great Diesel and Heavy Equipment program. The teachers and staff are awesome. They were always there to help me when I needed it. Some of the things I really enjoyed were engine, electrical and heavy truck classes. In these classes, they taught me how to rebuild engines, how to read a wiring diagram, and how to do diagnostics for wiring on equipment. I also learned about ohms law, how to use a multimeter and a variety of tools. I use all of these at my current job as a diesel and heavy equipment technician. Central Lakes College has helped me excel at my job.